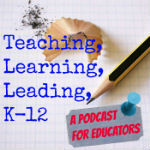 Taking attendance may seem like a mundane topic, but it is a requirement that must be completed else you might discover that the kids will get caught up in issues as I mentioned in episode 212. If you develop a good procedure for taking attendance the process will help you (the classroom teacher) learn the names of the kids faster which pays off in behavior management and developing relationships with the kids. I didn't have my own classroom for a bunch of years and had to travel from classroom to classroom. I had a cart and put all of my stuff in it. A veteran teacher taught me how to use this procedure to save time. He was so right and you will see that it will work for you, too.